Five years ago, when CNN aired the fourth installment of its ?Black in America? series, Americans got a candid glimpse into the Silicon Valley terrain ? and its pervasive lack of diversity. Hosted by noted broadcast journalist Soledad O?Brien, ?The New Promised Land, Silicon Valley? followed eight Black tech entrepreneurs and their nine-week quest in Silicon Valley to find investors to fund their startups. In the end, it sparked a national conversation that eventually blew the lid off statistics that indicate the egregiously low number of African-Americans employed at some of the country?s biggest tech firms and the few Black tech entrepreneurs whose startups actually get funded. Most glaring and most talked about after the documentary?s debut was TechCrunch founder Michael Arrington?s remark, in an interview with O?Brien, that he didn?t know a single Black tech entrepreneur. Not one. Further, he said, Silicon Valley was a pure meritocracy. That ?M? word was hotly debated for months to come and, despite Arrington?s claim, it was later revealed that, in 2010, fewer than 1 percent of venture capital money went to tech startups run by African-Americans, despite the number of African-Americans working in the field, including the eight who were there pitching to investors. In time, ?Silicon Valley?s fight to keep its diversity data a secret,? a phrase referenced in a CNN article, became impossible to remain a secret. The tech sector became increasingly scrutinized as activists and community leaders, the Reverend Jesse Jackson for one, called for employment demographics to be released. Google reported that only 2 percent of its workforce was African-American; Microsoft was not much better at 3.44 percent, with just 1.39 percent serving in executive, senior official and managerial roles. 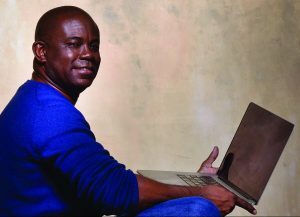 In 2014, a year before his untimely death, serial entrepreneur Hank Williams, a well-known advocate of diversity in tech, a 25-year tech veteran himself and one of the eight entrepreneurs featured in the documentary, said in an exclusive interview with The Network Journal that success in the tech sector comes down to capital, mentoring, insight and relationships. ?If you ask people in the tech industry, they would say there?s a pipeline problem. There are not enough people being educated to do the work. And that is true on the engineering side, which is to say we need more engineers of color. But that does not explain the numbers because the numbers are bad even on the marketing and sales side. There are plenty of young people of color graduating from competitive colleges. The question is: why aren?t they being hired? Today, Black tech professionals are taking to task their underrepresentation in the field by either starting companies or working for companies that provide the capital, mentoring, insight and relationships of which Williams spoke. Providing capital is where Brian Dixon, a partner at Kapor Capital, comes in. Together with fellow partners Freada Kapor Klein, Mitchell Kapor and former NAACP President Ben Jealous, Dixon works to fund diverse entrepreneurs. Others are doing similar work. Technology expert Angela Benton, also one of the entrepreneurs featured in the CNN documentary, launched NewME Accelerator to help entrepreneurs build better businesses through an online platform, a residential ?boot camp? accelerator and an equity portfolio. Already, some of the entrepreneurs using the platform have raised venture capital funding of up to $20 million. 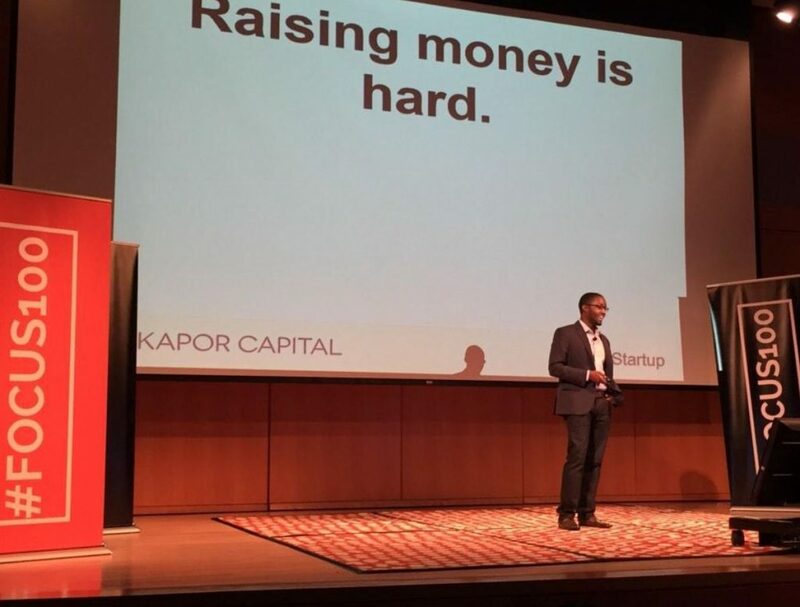 Kapor, meanwhile, takes a unique approach to funding. Its Founders Commitment explains not only their belief in investing in underrepresented entrepreneurs but also the value of investing in seed-stage startups in particular: ?The earlier a company bakes in diversity and inclusion, the more likely it will become a part of its DNA and positively impact the company?s development and future success,? the Commitment states. It goes a step further, asking founders to pay it forward by ?investing in tools, training programs, and/or resources that assist with mitigating bias in recruiting, hiring and employment; establishing diversity and inclusion goals and reporting on them quarterly, etc.? In short, Kapor companies are in the business of gap closing. 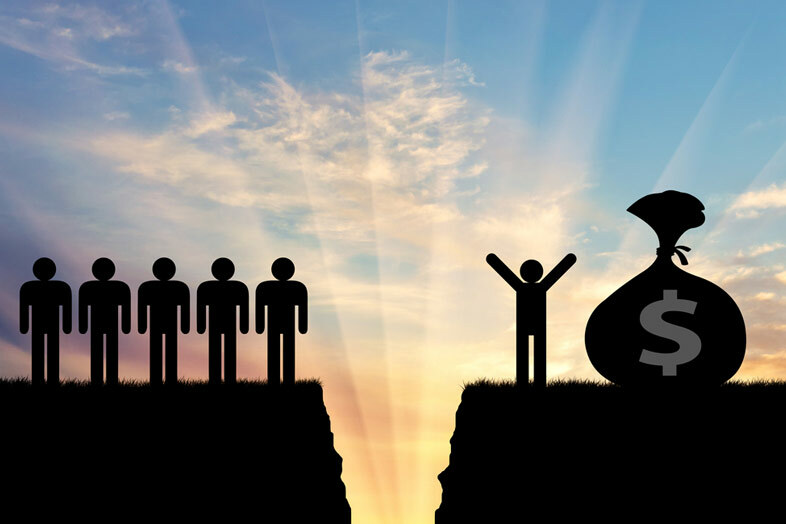 In an industry that is two-thirds male and mostly white and Asian, their highly respected and influential work in tackling the digital divide sets it apart from other VC companies. Combined, they fund Black tech entrepreneurs (Kapor Capital); establish community partnerships by backing nonprofits such as Black Girls Code, which teaches young women about STEM and coding; launch summer projects, such as the Hidden Genius Project to promote tech among teenage girls (Kapor Center for Social Impact); and create free, residential summer programs like SMASH (Summer Math and Science Honors Academy) that offer computer science and STEM instruction on the campuses of UC Berkeley, UC Davis, UCLA, Stanford University and Morehouse College to students whose schools do not offer it (Level Playing Field Institute). ?We are expected to solve these types of problems, but students aren?t being prepared in high school. It sets them up for failure. Luckily, there are programs like these to offer students the curriculum they need during the summer months,? Dixon remarks. For its part, Kapor Capital has an annual goal of investing in 20 gap-closing technology companies, mostly education and financial, that focus on communities of color in the U.S. To date, companies in their ever-expanding portfolio include Jopwell, Uncharted Play and Mercaris (read these company profiles at TNJ.com). Dixon says the difference between Kapor Capital and most VC firms lies in its ethnic makeup. ?Look around the table at who is investing. Kapor does not represent the typical Silicon Valley or New York venture firm. When you look at who gets funded at many of those firms, founder look like the people who are doing the funding,? he comments. Underrepresented groups often do not get the opportunity to pitch their startups to VCs, Dixon says. ?In our most recent portfolio, over 54 percent of our founders are either people of color or women, and that?s because of who we have around the table, and the gap-closing thesis of not investing in tools for the 1 percent, and instead investing in tools that will help the 99 percent ? the rest of the population. When we think of education, we?re not thinking about products to go into private schools; we?re thinking about public schools. We want our companies to keep that in mind because those products will have a larger reach and a bigger impact,? he notes. 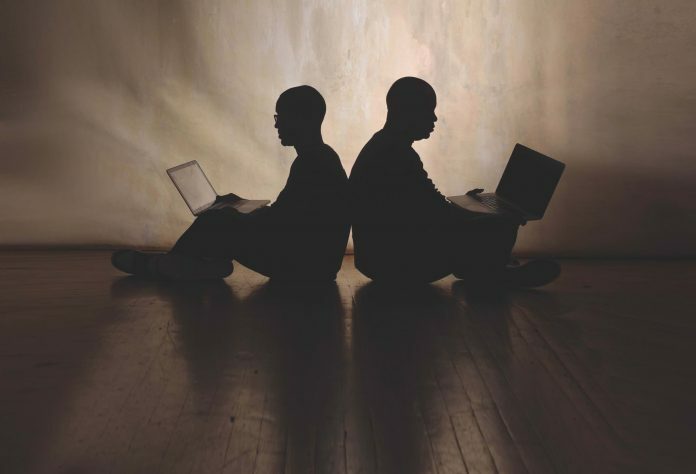 While capital is crucial in getting Black tech startups funded, educating the next generation in computer science is key in narrowing the digital divide. According to stats released by the White House, by 2018, 51 percent of all STEM jobs are projected to be in CS-related fields. To this end, President Barack Obama himself has initiated several projects, ?My Brother?s Keeper Alliance? and ?Computer Science for All? among them, designed to help students in underserved communities acquire the CS skills needed to compete in the nation?s new innovation economy. Black organizations are also on board in the pursuit to educate, and the progress is real. Thurgood Marshall College Fund?s recent partnership with Apple has resulted in a first-of-its-kind, 10-year program committed to HBCU students that, according to TMCF President Johnny C. Taylor Jr., is also ?a solution to Apple?s diversity challenges.? Unlike other initiatives that are solely monetary, Taylor told TNJ in an interview, this one is a ?full comprehensive program? that prepares college students to work at a company like Apple. ?If a student graduates with a 4.0 GPA but studied the wrong computer language, she or he will not be hired by Apple. Period. The student has to be prepared, ultimately, to be successful in their environment,? he explained. Taylor said a combination of faculty investment, student investment, institution investment and being present on campuses has created a unique program that was specifically designed to solve a problem by removing barriers. It is designed to expand the schools from which talent is typically pulled, build a relationship with HBCU students, provide scholarships and prepare students to do well in the summer internship program. Aaron Saunders, founder and CEO of the Washington, D.C., tech company Clearly Innovative, knows only too well the urgency of educating these students. Saunders, whose eight-year-old company provides software development services for both small startups and large enterprises and is credited with building and launching the official app for the National Museum for African American History and Culture in Washington, D.C., is making huge strides to give back through his tech incubator Luma Lab, which he launched to teach kids to code, design and program. After sponsoring a two-day hackathon five years ago where he talked to kids about writing software and building mobile apps, the event ended with little to no follow-up. ?I saw the excitement and the energy and wanted to do something. So, we branded a separate part of the company called Luma Lab to expose Black and brown kids here in the D.C. area to entrepreneurship and technology,? he says. The team runs summer camps and is present in at least four schools. They do more than coding. ?We teach coding, but we also impress upon kids that you don?t have to be a coder to be part of this innovation economy. When I say ?tech,? people assume I mean web and mobile development only, but there can be innovation in food service, cleaning businesses, TV production, etc. So, we teach kids a lot of different skills and expose them to a lot of different opportunities. We teach them that tech can be applied to specific business problems and that understanding tech will help you get a job and help your company, business or whatever you?re doing, be more innovative,? Saunders explains. ?I was given an opportunity to raise a family, go to school and do all these things in the tech ecosystem,? he muses, reflecting on his decision to launch Clearly Innovative. ?Through my years in this space, I noticed there just were not a lot of people who looked like me, so I felt I could start a company and make an impact by creating an environment where Black people felt comfortable.? He tells the story of hiring an intern from Howard University who, after her first week, revealed that what surprised her most was finding the company to be mostly Black. ?We shouldn?t be surprised at the discovery of a Black tech company,? Saunders says.